Let’s talk “hidden cameras”! The most important thing to remember is, interior surveillance cameras, or cameras in areas that people expect a high degree of privacy, places like bathrooms, changing rooms, bedrooms etc. 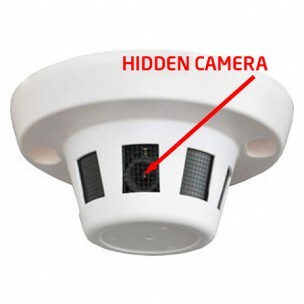 are all places that hidden cameras are alwaysprohibited. But what about hidden cameras in other more public areas? What are the restrictions that go along with unmarked cameras? In certain states the law explicitly states “the photographing, observing or overhearing events or sounds in a private place without permission is completely illegal”. In many of these states, unauthorized cameras can be charged as a felony, which can warrant prison time. But it is important to consider that technically, no laws in the United States require posted signs giving notice of hidden cameras, in a public setting. Surveillance cameras, such as nanny cams placed in homes to monitor household employees, also require no posting of signs. Obviously, personal security cameras on the interior of your house or apartment are perfectly legal but, when it comes to personal security cameras in public areas, it really depends on the rest of the occupants. A tenant placing security cameras outside their apartments in areas such as a hallway or a staircase can solicit opposition from other tenants and spark concerns. Instead of adding personal security cameras in public spaces, it would be better for tenants to work together to talk to landlords to get some kind of security system installed, into their community.